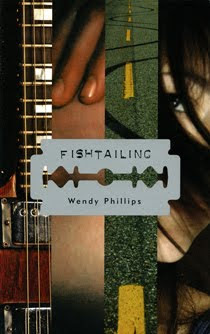 Fishtailing, by Richmond TL Wendy Philips, recently won the Governor-General's Literary Award for Children's Literature; it is a complex teen novel told poetically. It is a must-buy for secondary school libraries and an obvious recommendation for English teachers. lived in Ottawa, Lesotho and Australia, before moving to her current home of Richmond, B.C.